Ever since Align Racing and Nordcad made a sponsor agreement in the beginning og 2018, the design team from Align Racing has been provided with the nessecary training in the OrCAD tools. The team has an eye for details, and currently they are working on a special LED brake light. The brake light is in the shape of the Align Racing logo, which is one of the special features of the car that will make it stand out. "We really do appreciate all the help we have receieved from Nordcad. 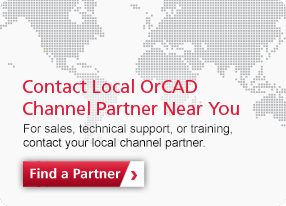 Their education and training material have made it much easier to get started with using OrCAD." says Harold Moldsvor from Align Racing. The car will stand it’s test in this summer’s formula race, and up until then, Align Racing has three engineers working on the electronics of the race car. After the race is completed, the team has made plans to further develop on the race car, where they will continue to use OrCAD. PSpice will be used for simulation of the electronics in order to optimize the car even further.